Islamabad: Pakistan and China are expected to sign the revised bilateral free trade agreement anytime during this year as the two sided are currently deliberating on the subject, commerce minister said on Tuesday. 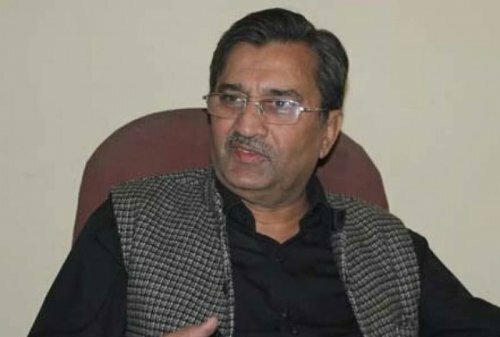 “I cannot predict the deadline but CPFTA (China-Pakistan free trade agreement) will be signed during the current year… we expect that we will come again after winning elections,” Minister for Commerce Pervez Malik told journalists after attending an event of the Intellectual Property Organization (IPO) Pakistan. The event was organised to commemorate world’s IP day. Malik, earlier addressing the event, stressed the need for socioeconomic developments through innovation and creativity. He said IPO-Pakistan is motivating students and entrepreneurs to translate their ideas into products and services to materialise the fact. “Innovation and creativity have not only become major drivers of socioeconomic growth but also are considered essential tools for development of any society,” the commerce minister said. The theme of this year’s world IP day “Powering Change: Women in innovation and creativity” is very much relevant to the need of modern times. The minister highlighted the importance of realisation of taking benefits from women’s intelligence and aesthetics by engaging them in different fields of everyday activities. He said the 2018’s world IP day theme is an acknowledgement and gratitude to this fact. Malik advocated provision of equal opportunities to all genders for utilising their skills, knowledge and expertise in the areas like science, technology, arts, medicine, services and international trade. He expressed the confidence that it is the only way for achieving a healthy and robust growth of economy as well as society. The commerce minister, while talking about involving research and academia in the process of creating awareness about IP rights, said twenty-seven universities and research institutes in Pakistan have been linked to the world IP community under the Technology Innovation Support Centers (TISC) program with active support of Higher Education Commission and World Intellectual Property Organization. “This has been done to engage large number of female students and women entrepreneurs to register their IP creations with IPO-Pakistan registries.” The minister assured unflinching support to IPO-Pakistan for the protection of IP rights in the country and continuing working for the improvement of IP ecosystem in Pakistan. Javed Abid, additional secretary (Trade Policy) said women empowerment leads to development and prosperity of the societies. Abid said IPO is putting up great efforts for engaging institutional stakeholders in creating awareness about IP rights and expanded its enforcement coordination mechanism to encourage IP rights holder to register their IPRs. Muhammad Irfan Tarar, director general of IPO-Pakistan said IPO-Pakistan, in the short span of time, has achieved milestone achievements including streamlining of IP system, intensified IPR awareness campaign, and establishment of TISC centers in universities and upgradation of IP laws. “Reviving of automation project, e-filing, e-payment and e-search for IP applications will be initiated shortly,” Tarar added.